Strolling dinner with one of Michigan's most award winning breweries! 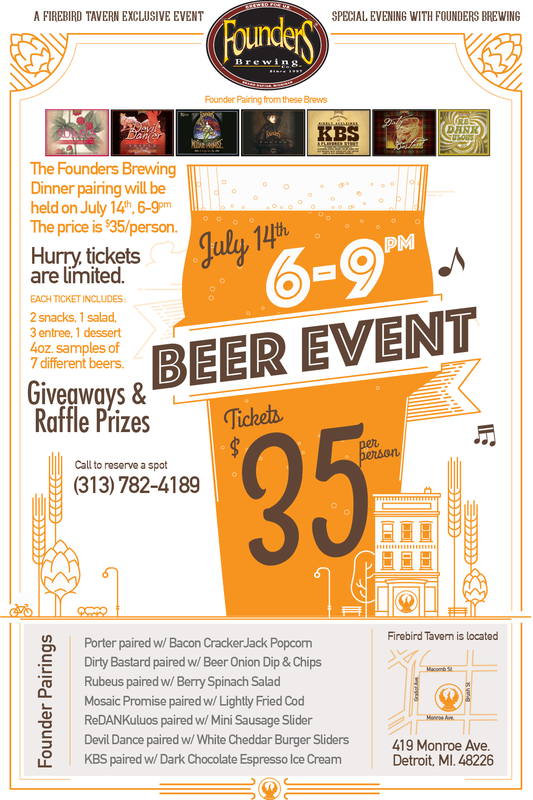 Founder's is bringing 7 beers for us to pair with our chefs creations for you to nosh on. Rumors are we will have KBS at the dinner so you won't want to miss this opportunity to taste the most sought after beer Founder's brews. Tickets are limited so buy them now!